The Vancouver International Auto Show is underway at the Vancouver Convention Centre (West) until Sunday, March 31, 2013 featuring the latest and greatest vehicles from the auto industry. 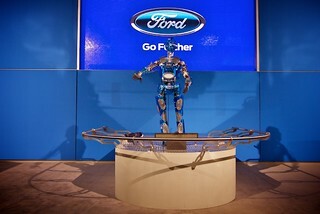 I caught up with Ford Canada’s CEO Dianne Craig yesterday just as Ford’s “Ambassador of Innovation”, Hank the Robot, welcomed some of their dealers (there are 433 in total across Canada) and special guests to the auto show. As more people search for a smartphone connector before even looking under the hood of a vehicle, I wanted to specifically ask Dianne about the technology that is featured in Ford vehicles. Things like SYNC information and entertainment system, the Handsfree Liftgate, Parking Assist, and MyKey (a key with pre-programmed safety settings for young drivers). These are now affordable luxuries that tech-loving car owners have previously only dreamed about. “Obviously we have voice-activated-take-your-pick. Whether it’s call my friend, pick my favourite restaurants, find wherever I need to go. But you know that’s the technology we have today but what is the future? What does that look like? Because the world has changed. People are able to listen to USA Today in their car. We have that app today and a number of other applications just to make people’s lives easier.” Ford has reached out to app developers to help bridge the gap between today’s technology and what the next generation of apps and processes will look like. “One thing you can bank on in the car industry is that it’s always changing and you always have to innovate. And one of the things we’re most proud of, even in the depths of recession, is that we never stopped investing in the product.” Dianne said that it’s important to hone in on product design and technologies but also not get too far ahead because at some point these technologies cost money — and that’s the balancing act. 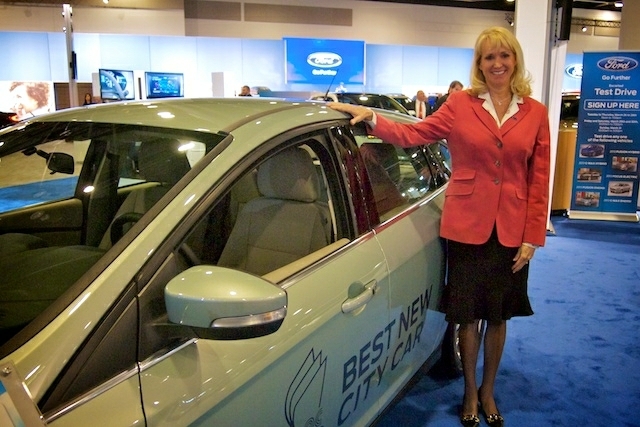 While Ford has some Super Cars on the show floor, like the Shelby Mustang, Dianne said that the focus in Vancouver is definitely on eco-friendly driving. 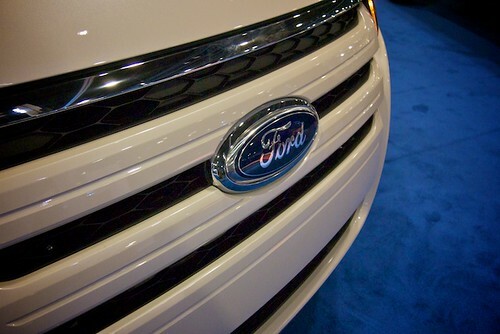 At the auto show this week you can check out Ford’s electric and hybrid vehicles, and get behind the wheel of a hands-on driving simulator for a timed driving course and experience EcoBoost fuel economy with the power of a V8 in a V6. General Admission $15; Seniors (65+) $10; Students (valid ID required) $10; Children 7-12 (when accompanied by an adult) $4. Family Passes for 2 adults and 2 children 12 and under are $30, and Multi-Day Passes (good for any 2 days) are $25. Taxes and/or fees, may apply to these prices. Tickets are available online or at the door. 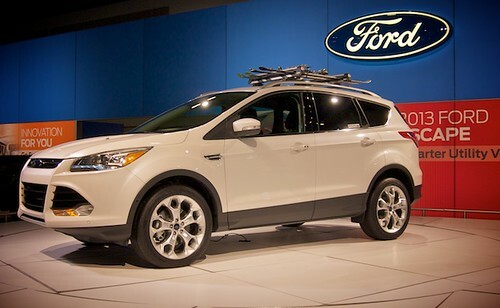 I did not received compensation in any form to feature Ford in this post. GM and Toyota have also reached out to me during the show.